As the only fat-soluble antioxidant that the body can produce, ubiquinol plays a key role in helping neutralize free radicals in fats. ** Fats that have been damaged by free radicals are a serious cardiovascular health concern. Ubiquinol and Co Q-10 are two forms of a similar nutrient. Each has its own distinct biological activities. Co Q-10, however, and must be converted to Ubiquinol by the body in order to provide antioxidant benefits. ** As we age, the ratio of Co Q-10 to Ubiquinol in the body may start to decline due to oxidative stress. Nature’s Origin Ubiquinol supplies 200 mg in each powerful, rapid-release softgel. Ubiquinol has demonstrated in a lab studies to help protect against fat peroxidation. ** Oxidized fats, especially oxidized LDL cholesterol, are a cardiovascular health concern. Researchers from Columbia University found a significant 51% decrease of blood Co Q-10 levels in patients taking statins after 30 days. Note: Ubiquinol is not intended to serve as a replacement for Statin therapy, nor should you discontinue taking any prescribed medications while supplementing with Ubiquinol. 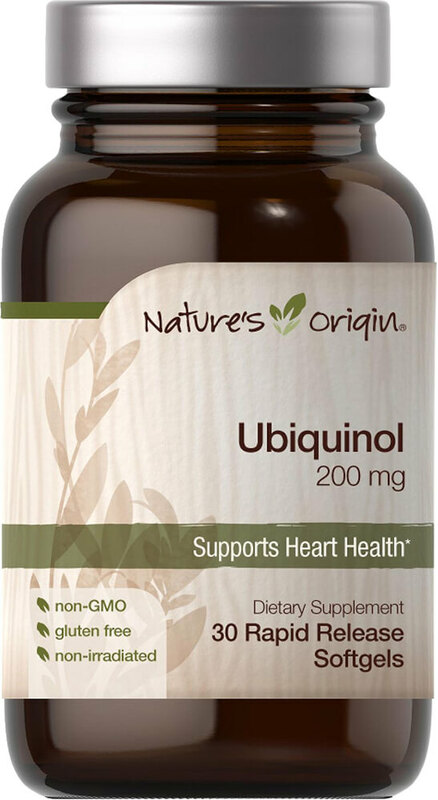 Why Take Nature’s Origin Ubiquinol?